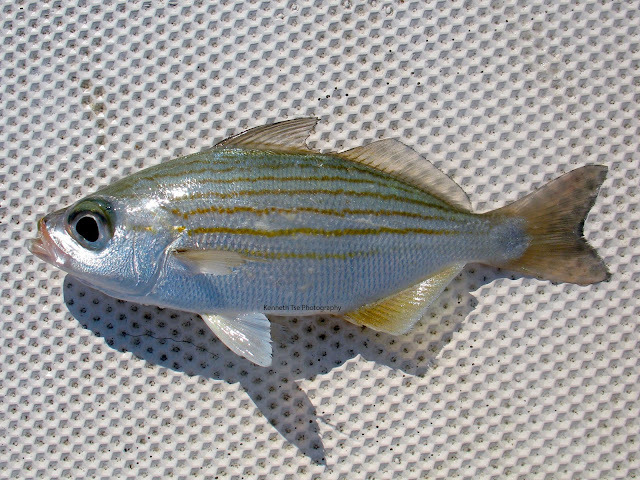 We started our second day of fishing in the marina to search for the "black donkey"...a species of grunt. We didn't catch any so I have no clue which species it might be. But along the way, I caught a few Burrito Grunts which was a new species. In the past, I thought I had caught the Burrito Grunt. But looking back at the photos from the previous trip, I had misidentified the Silvergrey Grunt (Anisotremus caesius) as a Burrito Grunt. So it was lucky that I can add a species without taking one away. After a short session in the marina, we motored out to the wrecks. Things were looking really promising when my live shrimp was hit on the first drop and a strong fish pulled back. This is fought different from the Blackblotch Pompano. It was diving for the bottom but in slower and shorter bursts. Finally, we had colour and it was a nice snapper. 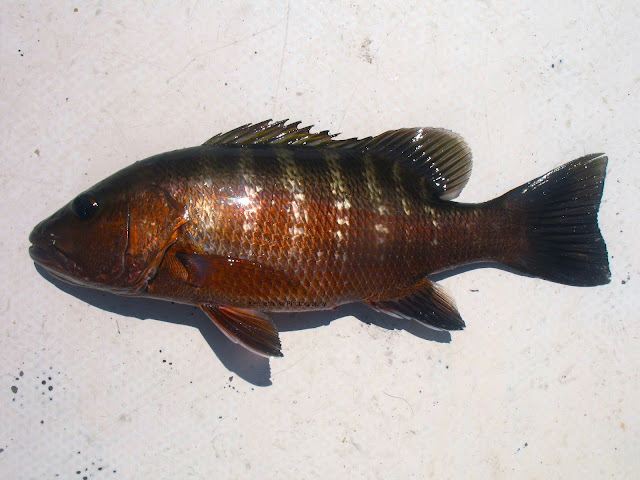 Chalio said it was a Colorado Snapper, and the dorsal scales that paralleled the lateral line confirmed the species identification. 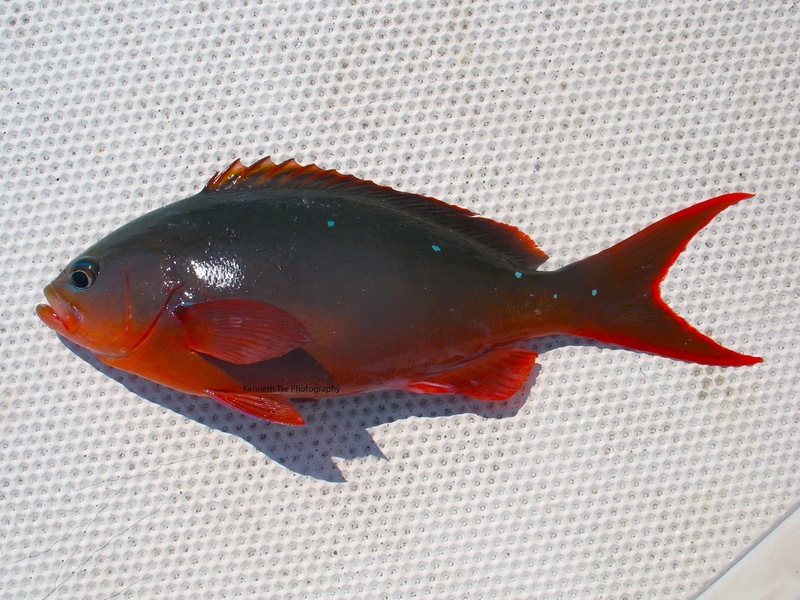 Actually, I had caught juveniles of this species in the past but misidentified it as a Pacific Dog Snapper. It feels a bit more legitimate to cross off this species with a decent 5lb fish. The Colorado Snapper was the only customer to our shrimp. We moved to another wreck and saw some fish on bottom. It took a while to positioned the boat properly. But when we had the boat just right, it took only 5 minutes before Josh was into a nice fish, which turned out to be a White Snook. Not long after, I had a double tap on my shrimp seconds before George hooked up to another White Snook. Darn! Either George's Snook spat out my shrimp or another Snook was around...but I missed it. We lingered on the wreck a while longer and finally I had a good thump on the rod and it doubled over. My heart was pounding as I anticipated the black line of a White Snook. 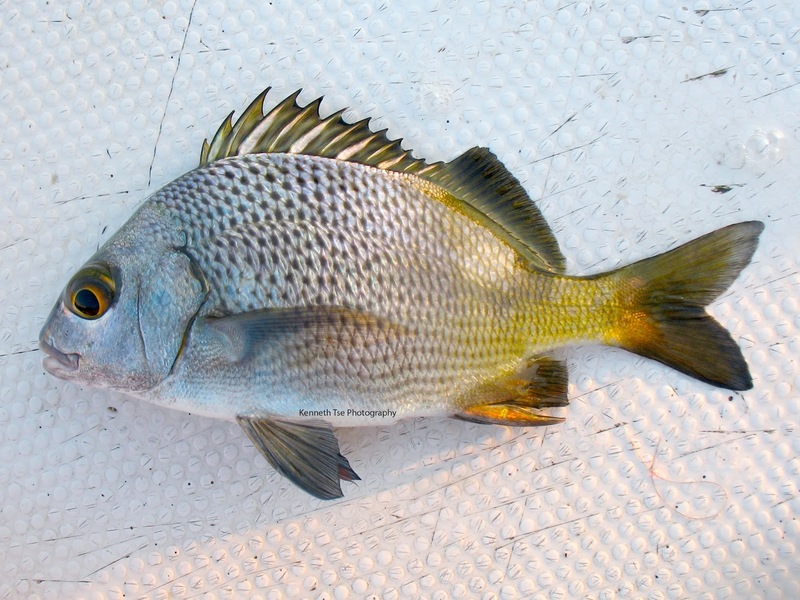 But alas, it was another Blackblotch Pompano. I would have traded that Blackblotch Pompano to Josh for his White Snook! But that's not how it works LOL. While I missed out on the White Snook, a saving grace was the Longfin Salema, a lifer that I caught while fishing a sabiki when the fishing slowed down. 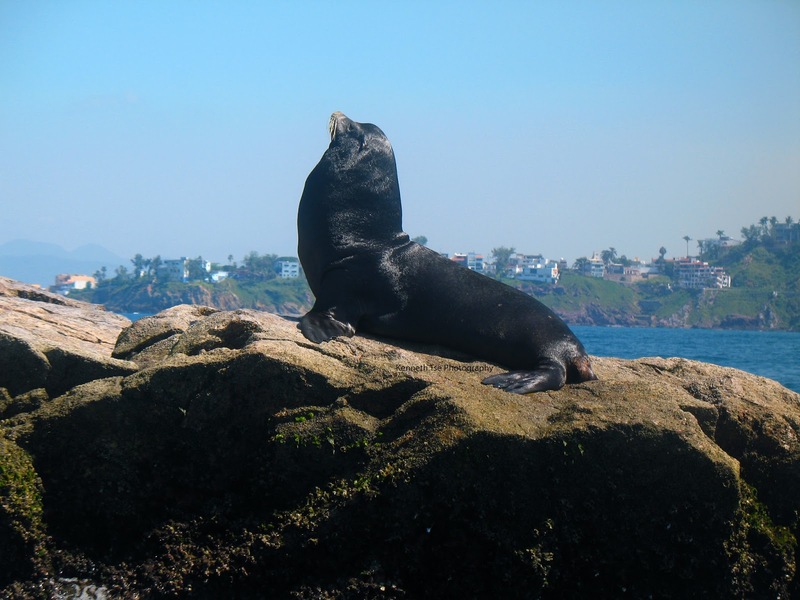 We moved to a spot in the south called Sealion Rock. 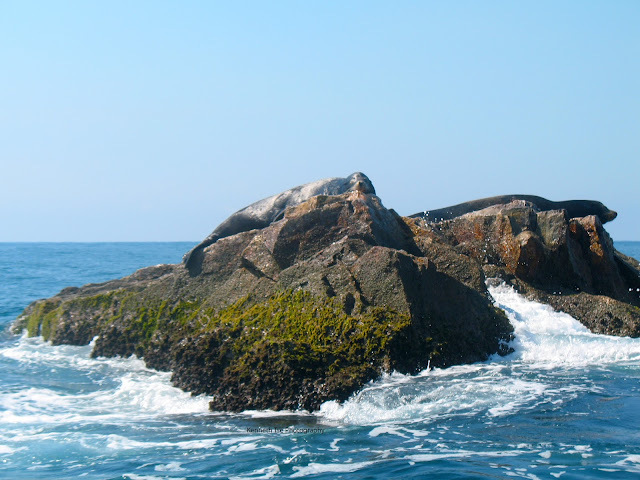 There's a reason why it was called Sealion Rock. The current was just perfect and we anchored over the steep outer wall of the rock. It was a buffet of species coming up. And for a while, every drop yield a different species on everyone's lines. It was another species buffet as quickly as we could drop our lines. My first fish was unfortunately a recapture...the Spotfin Porcupinefish. I would have traded Josh for this Longspine Porcupinefish he caught not long after. 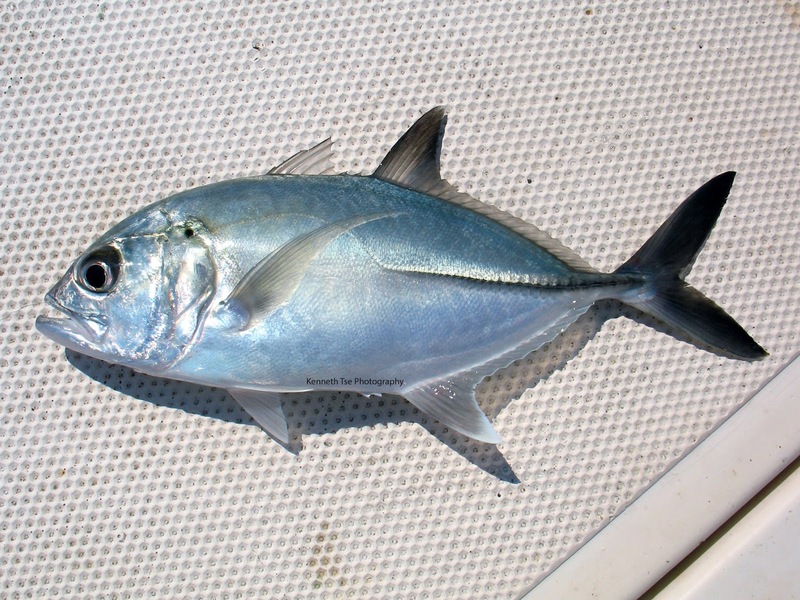 But the next drop yielded a double of Bigeye Trevally, a welcomed new lifer that I did not expect to find in Mazatlan. Josh caught a Pacific Creole-fish and I followed up with my own lifer too! 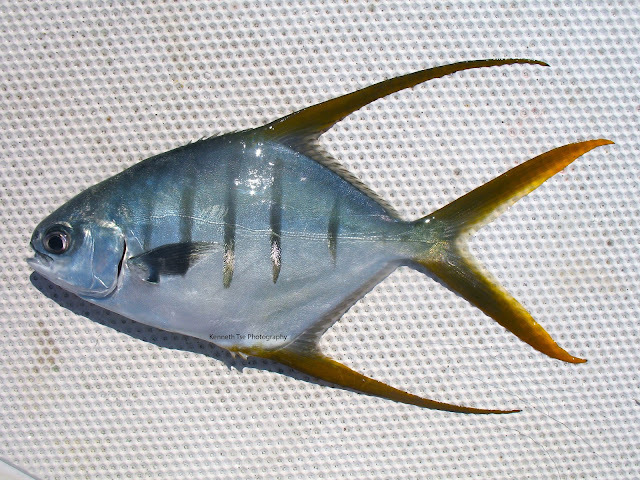 Out of the blue, a Gafftopsail Pompano was on my line. I was familiar with this species as a surf target, but finding it out on the steep wall was a surprise as well. I'll take it! I switch between the sabiki rig and the high-low rig to maximize species opportunities. 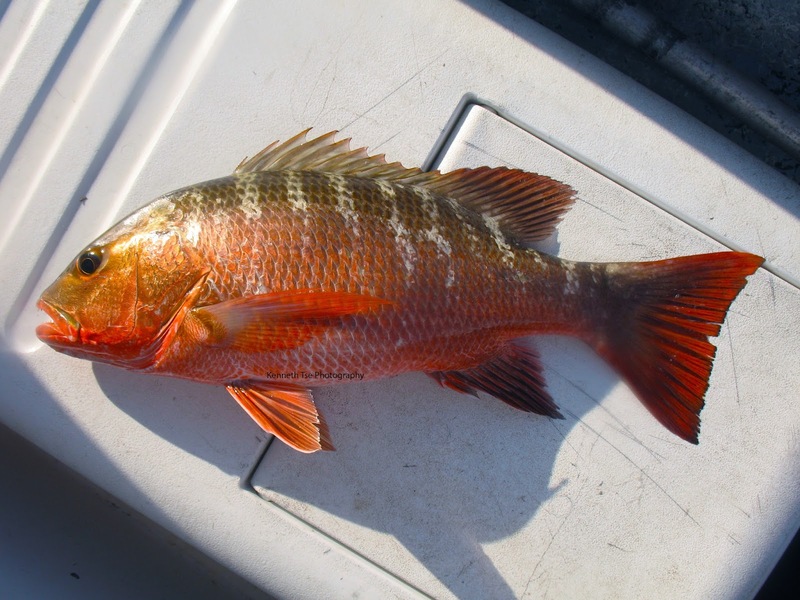 While fishing the high-low rig, a stronger fish turned out to be a nice Pacific Dog Snapper. So in the end, even with prior misidentification, I was able to still add this species to my list! It was a decent 14" fish as well. Apparently, one sealion was not happy we were catching all its fish. It struck a pose to tell us this was its fishing grounds. Later on, it even got into the water and tried to steal one of my fish off the hook. On one bait check, I saw a few larger fish followed my sabiki up to the surface. 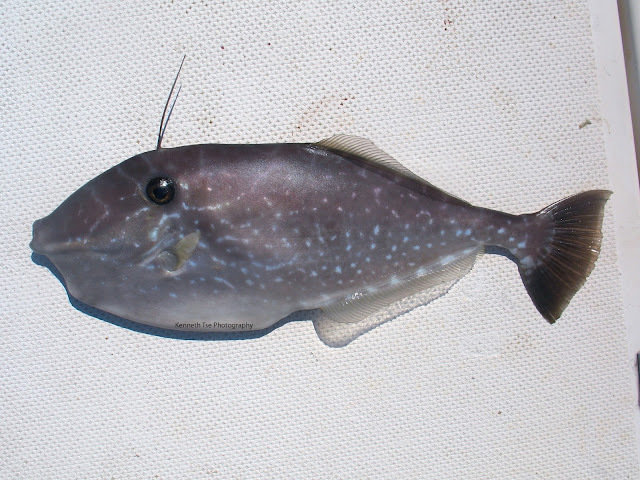 They were Unicorn Leatherjacket Filefish which George caught a little earlier. There were 5 or 6 of them circling down below the boat. Using small chunks of shrimp on the sabiki, I hooked one but it eventually chewed or broke my line during the fight. I would lose a couple more before landing one. Species #760 - Unicorn Leatherjacket Filefish (Aluterus monoceros). In addition, George caught a Mexican Moonfish and Josh caught a Mexican Goatfish which I missed out. We all picked up some new species and were satisfied to end the day at Sealion Rock. 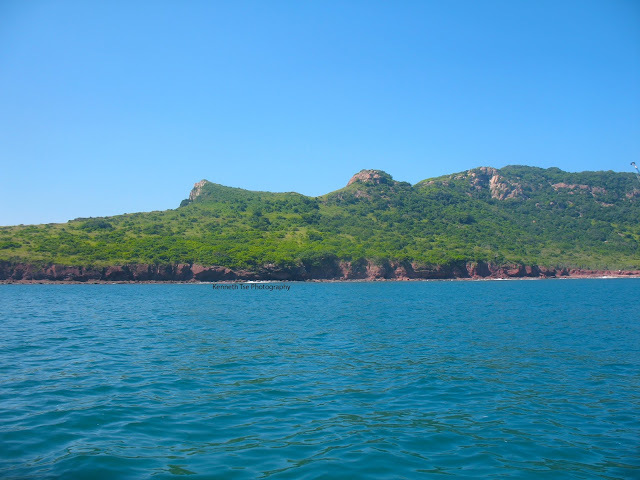 We passed by more islands on the way back to the marina. This one had a landscape that reminded me of Jurassic Park. 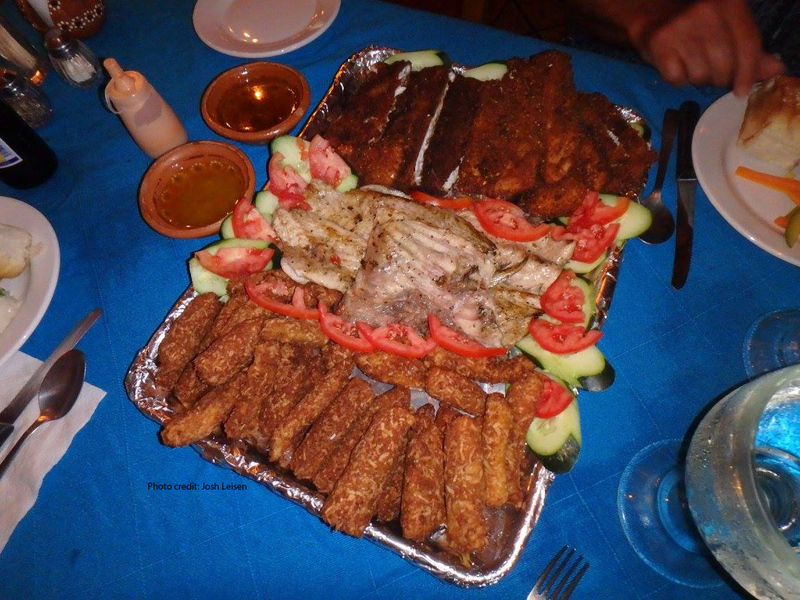 After a long, hot day, we decided to relax at the pool again before going to La Zarapes with our White Snook, Orangemouth Weakfish and Blackblotch Pompano fillets. We decided to grill the collar and fillets of the Blackblotch Pompano (fantastic), breaded the Orangemouth Weakfish (a little overcooked but still wonderful) and coconut-coated the White Snook (freaking phenomenal!!!). If you haven't tried Coconut Snook before...do it before you die. It is out of this world good!